Electric Motor Driver | Micro-Trak Systems, Inc. The Electric Motor Driver (EMD) enables all of our rate controllers, SprayMate II, MT-2405F II, SprayMate™ Plus, RateKing™ Plus, RateKing™ Dual Plus and RoadMaster, to control the rate of flow by regulating the speed of a 12 volt pump. It can also be integrated into most major-brand control systems. 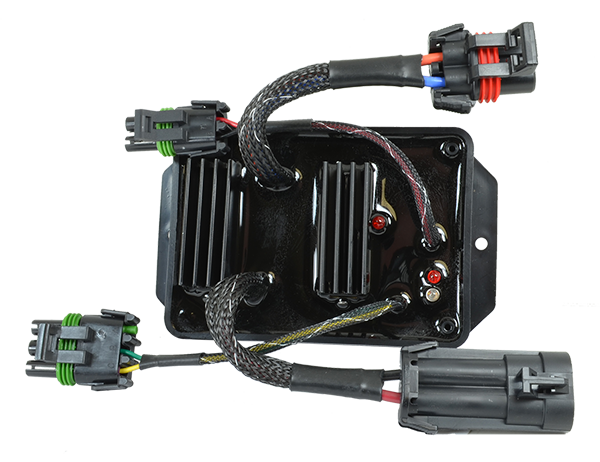 The system can be purchased as a part of a customized kit complete with control console, speed sensor and flowmeter, or if you presently own one of the controllers listed above, you can just add the EMD Kit and use your existing console and components.